For a venue with a difference Southward Car Museum, north of Wellington, is the perfect choice. The museum, which is home to more than vintage cars, motorcycles and other vehicles, offers three different hire options. Couples looking for a stylish place to get married can choose a wedding ceremony beside the museum's lake before picking one of three areas for the reception. The venue can cater for small intimate weddings or a larger gathering with seating from 50 to 300 people. The bride and groom can take it easy on the big day by allowing museum staff to organise every aspect of the party, while local caterers can be hired to provide the wedding food. Southward's conference facilities offer the perfect place to host a team-building event, conference or a corporate celebration. There are facilities for up to 450 people, and the museum can cater easily for small or large groups. With an auditorium and two function rooms inside and large grounds outside, the museum offers the potential for a wide range of activities. Close proximity to the capital Wellington and the nearby Paraparaumu airport makes Southward a great business destination. For something very different, book the museum's theatre, which features the largest Wurlitzer Organ in the country. 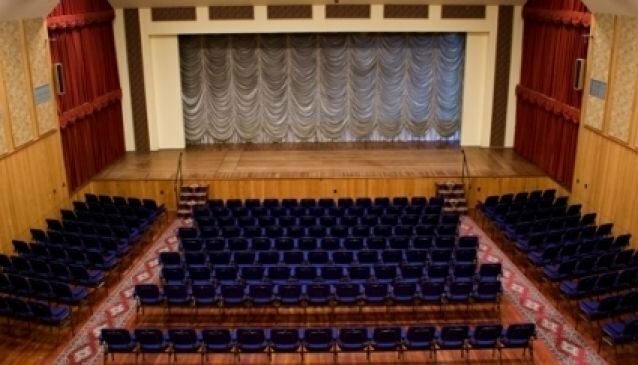 The theatre seats 475 people and can be arranged with seating facing a main stage or for a seated function.